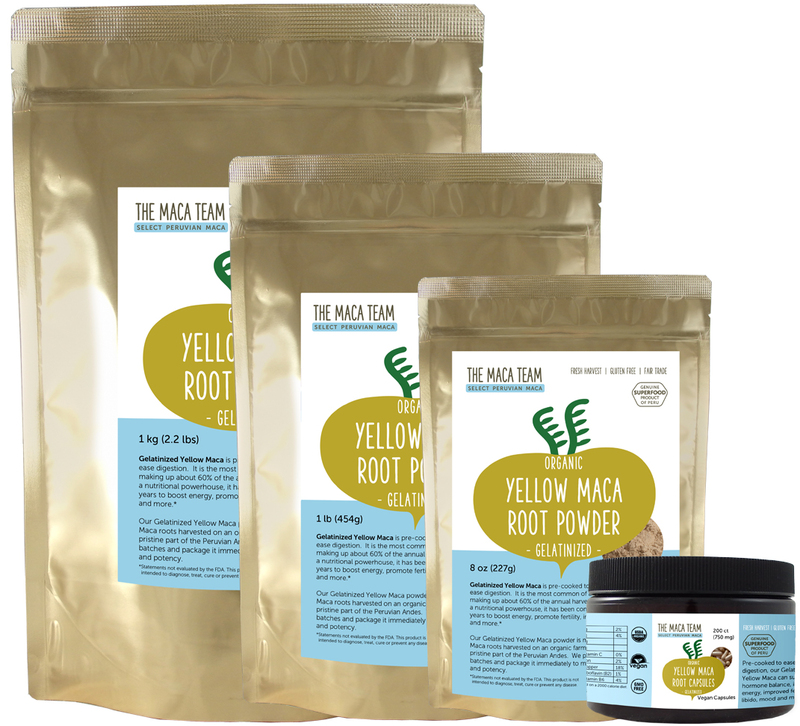 ...powder is made from 100% Yellow Maca roots. After these roots are harvested, they are dried in the mountain sun for 10-40 days and then “gelatinized.” Gelatinization is a process in which Maca is heated to high temperatures (160F / 70C). 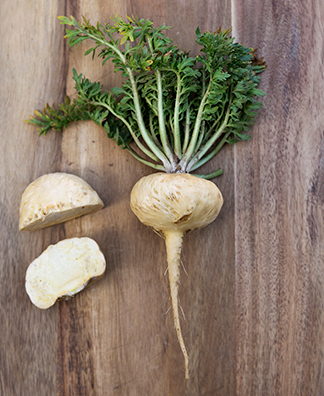 The heat causes the starch molecules in Maca to irreversibly dissolve. and the result is a powder that has had some of its nutrients compromised but is easier to digest than raw Maca. It’s important to note that nothing is added to Maca during the gelatinization process. To date hundreds of studies, all available publicly in the Pubmed database, have found Yellow Maca to be useful for energy building, fertily, hormone balance, mental focus and more. Yellow Maca is indeed a nutritional powerhouse, containing nearly all essential amino acids and free fatty acids, significant levels of vitamins A, B1, B2, B3, and C, minerals iron, magnesium, zinc and calcium, a high concentration of bio-available protein and nutrients unique to Maca called macaenes and macamides. Maca is also an "adaptogen," or rare form of plant that is thought to raise the overall life force energy of those who consume it. Is the most common Maca it is also less expensive.